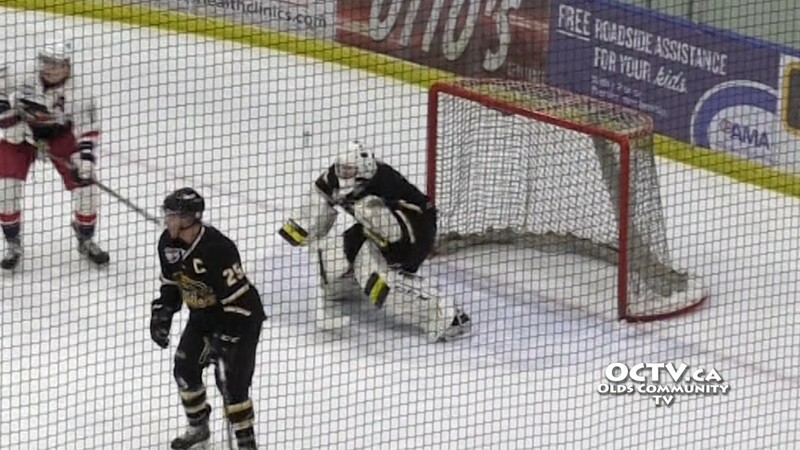 Hugh Bodmer talks with Olds Grizzlys goalie, Kurtis Chapman after the game Jan 2, 2016. 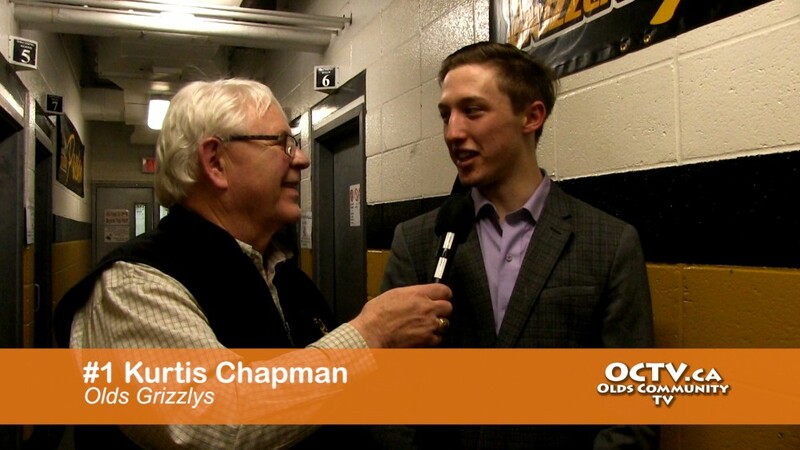 Watch the OCTV Grizzlys Game of the Week on Olds Community TV Channel 148 in Olds. 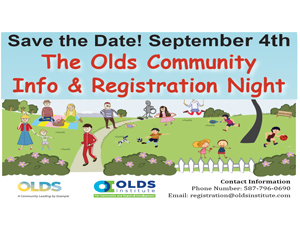 To watch the game on OCTV, contact O-NET in Olds for service.